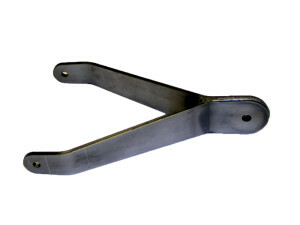 Similar to the other robotic weldments we make for the MK93 mod-2 machine gun mount used by U.S. Armed Forces, this Adjustment Arm sub-assembly is made to strict military standards and quality assurance provisions. The production process starts out with a sheet of ¼” HRPO 4130 steel that is precision laser-cut and precisely formed to ensure component consistency. That is critical for controlling the weld joint location, weld gap, and weld distortion on tightly tolerance assemblies. Following our robotic welders, a final machining is required to hold GD&T – it is phosphated and CARC coated.